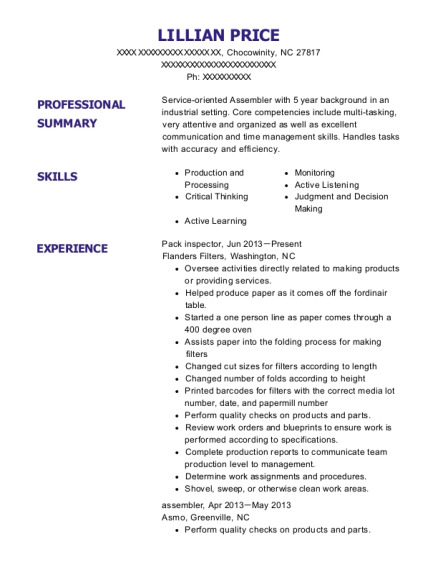 Service-oriented Assembler with 5 year background in an industrial setting. Core competencies include multi-tasking, very attentive and organized as well as excellent communication and time management skills. Handles tasks with accuracy and efficiency. Helped produce paper as it comes off the fordinair table. 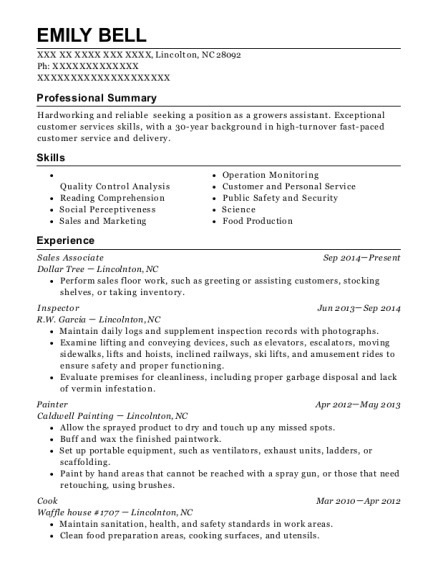 This is a resume for a Pack inspector in Chocowinity, North Carolina with experience working for such companies as Flanders Filters and Asmo. 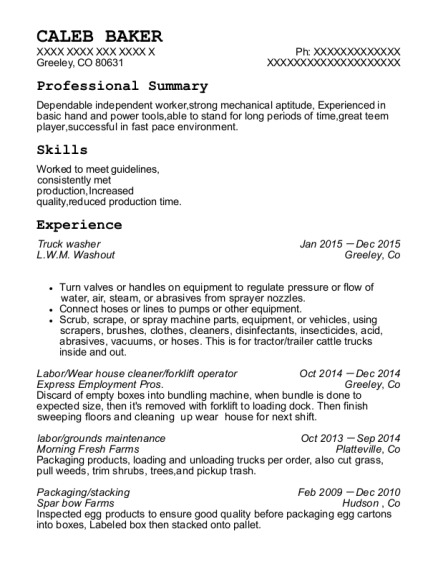 The grade for this resume is 0 and is one of hundreds of Pack inspector resumes available on our site for free. 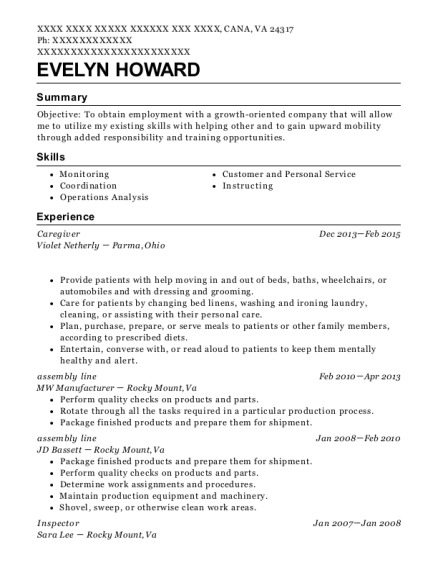 Use these resumes as templates to get help creating the best Pack inspector resume.